Teresa Antoja joined the Gaia-UB team in 2016. She has at present a Marie Sklodowska-Curie Fellowship from the EU (2018-2020) to exploit Gaia data to study key astrophysical processes that drive the evolution of the MW and of galaxies in general. She is also working on the validation of Gaia data as part of the CU9 group. She also belonged to the Gaia Archive Preparation (GAP, 2011-2013). 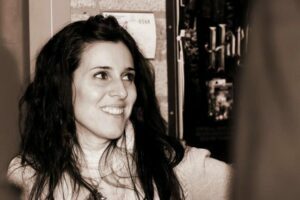 From 2013 to 2016 Teresa worked at ESTEC where she held an ESA Fellowship in Space Science devoted to the preparation for the scientific exploitation of Gaia data.